Britain is brimming with hidden gems just waiting to be uncovered. Get off the beaten track to fly over the landscapes, witness amazing wildlife, travel into outer space and swing through the trees on an epic zipline! The UK is set to stage world-class events including the Olympics and the Diamond Jubilee in 2012 but we believe it’s important to enjoy fantastic outings in secret corners of the country as well. Our experts have teamed up with travel writer Ben Hatch to reveal the best of alternative Britain. Hatch packed up the car last year and took off on a five month road trip around Britain with his wife and two young children in tow; the result was Are We Nearly There Yet?, a humorous travel book that shares the madness and the beautiful moments in a guide to family-friendly attractions in the UK. 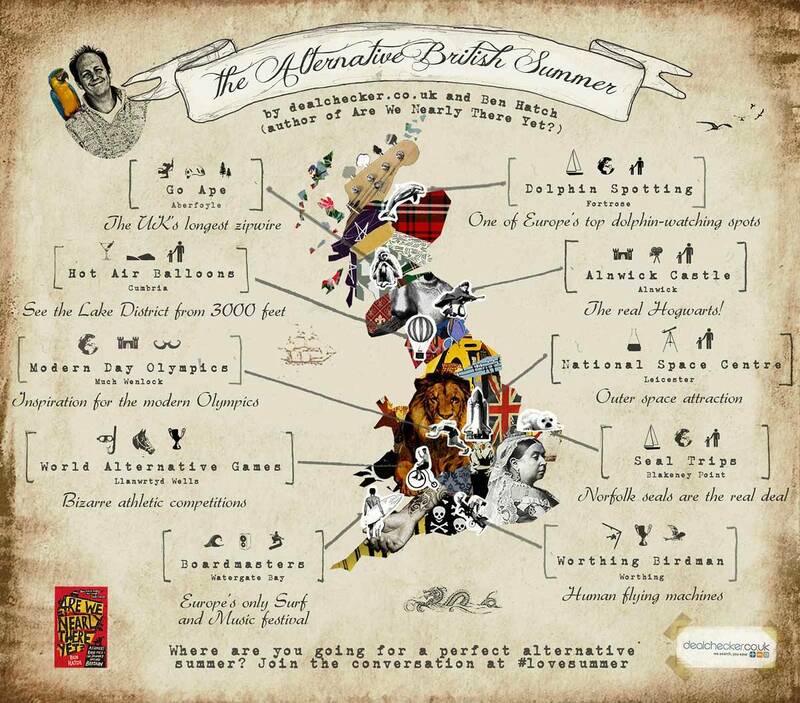 We asked Ben to pick five of his favourite lesser-known attractions, and our experts selected five more to create this visual guide to the alternative British summer. Read more about our selections below – whether you are looking to escape Olympic fever, or you are heading to the UK specifically for the occasion, make sure you take some time to explore Britain’s alternative destinations. Why not work out how many you can already tick off the list as well?